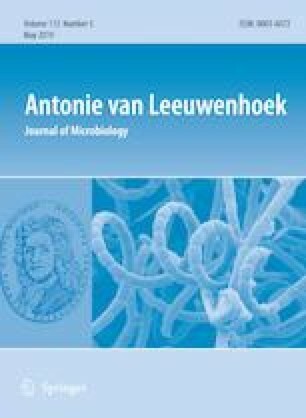 A novel Gram-staining negative, yellow-pigmented, non-motile, aerobic and rod-shaped bacterium, designated MAH-11T, was isolated from rhizosphere of Pinus koraiensis and was characterised by using a polyphasic taxonomic approach. The colonies were smooth, circular and 0.3–1.0 mm in diameter when grown on R2A agar for 3 days. The strain was positive for both catalase and oxidase tests. Optimum growth temperature and pH were 28–30 °C and 7.0, respectively. Cell growth occurs on R2A agar, nutrient agar, Luria–Bertani agar and tryptone soya agar but not on MacConkey agar. The novel strain was found to be able to hydrolyse esculin but not casein, gelatin, starch, l-tyrosine, DNA, l-arginine, urea, Tween 20 and Tween 80. On the basis of 16S rRNA gene sequence analysis, strain MAH-11T belongs to the genus Sphingobium and is closely related to Sphingobium quisquiliarum P25T (98.1%), Sphingobium vermicomposti VC-230T (97.8%), Sphingobium mellinum WI4T (97.5%), Sphingobium barthaii KK22T (97.2%) and Sphingobium fuliginis TKPT (97.2%). In DNA–DNA hybridization tests, the DNA relatedness values between strain MAH-11T and its close phylogenetic neighbors were below 45.0%. The DNA G+C content was 64.5 mol% and the predominant respiratory quinone was identified as ubiquinone-10. The major cellular fatty acids were summed feature 8 (C18:1ω7c and/or C18:1ω6c), summed feature 3 (C16:1ω7c and/or C16:1ω6c) and C16:0. The DNA–DNA hybridization results in combination with chemotaxonomic and physiological data demonstrated that strain MAH-11T represents a novel species within the genus Sphingobium, for which the name Sphingobium chungangianum is proposed. The type strain is MAH-11T (= KACC 19836T = CGMCC 1.13749T). The NCBI GenBank accession number for the 16S rRNA gene sequence of strains MAH-11T is MH553056 and the digital protologue database (DPD) Taxon Number is TA00769. The online version of this article ( https://doi.org/10.1007/s10482-019-01266-8) contains supplementary material, which is available to authorized users. This study was performed with the support of the National Research Foundation (NRF) of Korea grant (Project no. NRF-2018R1C1B5041386) funded by Korean government, Republic of Korea. Md. Amdadul Huq is the only one author of this article. So, the author conceived the original screening and research plans, performed all of the experiments and wrote the article.